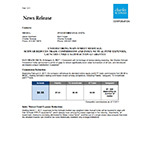 "Today’s consumers expect great value, a great experience, and a refund if they aren’t satisfied"
SAN FRANCISCO--(BUSINESS WIRE)--Consistent with its heritage of democratizing investing, The Charles Schwab Corporation today announced a series of steps to deliver significantly more value to investors of all sizes, and introduced an industry-unique Satisfaction Guarantee1. Beginning February 3, 2017, the company will reduce its standard online equity and ETF trade commissions from $8.95 to $6.952, making Schwab’s trading commission lowest among competitors, including Fidelity, Vanguard, TD Ameritrade and E*Trade. Starting March 1, 2017, expenses for the Schwab market cap-weighted index mutual funds will be lowered to align with their Schwab ETFs™ equivalents3, which already have among the lowest expenses in the industry. Importantly, all investment minimums are being eliminated for these mutual funds4, and the use of a single share class ensures that even the smallest investor can invest at low costs historically available only to large institutions. Additionally, the company has initiated a broad-reaching Satisfaction Guarantee for clients, unique among brokerage firms. Simply, if a Schwab client is not satisfied for any reason, Schwab will refund any related commission, transaction fee or advisory program fee paid to the firm1. For more information on the mutual fund and ETF cost reductions, visit www.schwab.com/lowercosts or www.csimfunds.com/lowercosts. 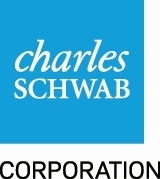 The Charles Schwab Corporation believes that the pricing changes described above will enhance its value proposition and competitive position, and encourage the consolidation of client assets and trades at Schwab. While the actual timing and extent of any such consolidation is uncertain, management estimates that these pricing changes are equivalent to approximately $15M of monthly revenue. Chief Financial Officer Joe Martinetto commented, “Throughout Schwab’s history, clients have rewarded us for investing in them, and the actions announced today help keep us well positioned for continued success in building our client base. With solid profitability and a healthy balance sheet, we are able to pursue our growth opportunities from a position of strength.” Less than 11% of the company’s net revenues currently come from trading. This press release contains forward-looking statements relating to client assets, trading and revenues. These statements reflect management’s current expectations and objectives, the achievement of which is subject to certain risks and uncertainties that could cause actual results to differ from the expressed expectations and objectives. These risks include, but are not limited to, the company’s ability to accurately assess the elasticity of client demand for trading services and the effect of pricing changes on client acquisition, retention and asset levels; a sustained decline in securities prices, trading volumes and investor confidence from recent levels; and other risks set forth in the company’s most recent 10-Q. 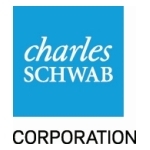 *Schwab is a registered trademark of Charles Schwab & Co., Inc. Fundamental Index is a registered trademark of Research Affiliates, LLC. 1 If you are not completely satisfied for any reason, at your request Charles Schwab & Co., Inc. (“Schwab”) will refund any eligible fee related to your concern within the timeframes described below. Two kinds of “Fees” are eligible for this guarantee: (1) asset-based “Program Fees” for the Schwab Private Client (“SPC”), Schwab Managed Portfolios (“SMP”), Schwab Intelligent Advisory (“SIA”), and Managed Account Connection (“Connection”) investment advisory services sponsored by Schwab (together, the “Participating Services”); and (2) commissions and fees listed in the Charles Schwab Pricing Guide for Individual Investors (“Account Fees”). Program Fee refund requests must be received no later than the next calendar quarter after the Fee was charged. Account Fee refund requests must be received within one year of the date that the Fee was charged. Foreign stock transactions (stocks not listed on U.S. or Canadian exchanges): These trades are subject to the greater of the broker-assisted trade schedule or $100, or 0.75% of principal. No maximum applies. Not applicable to American Depositary Receipts. Large block transactions (orders of 10,000 or more shares, or orders over $500,000): May be eligible for special handling and/or pricing—please call us for information. Restricted stock transactions: Broker-assisted commission pricing schedule applies for all trades, including those placed online. Employer negotiated commission schedules applicable to equity compensation transactions. 3 Operating Expense Ratios are subject to change and may not always align among strategies. Some mutual funds do not have an ETF equivalent. 4 Minimums are subject to change and ETFs require investment of at least one share. 5 The table is based on prospectus net expense ratio data comparisons between Schwab market cap-weighted index mutual funds and non-Schwab market cap-weighted index mutual funds. The non-Schwab mutual funds shown represent Vanguard and Fidelity index mutual funds with the lowest expense ratio with a $10,000 minimum investment within their fund family in their respective Lipper category. Schwab operating expense ratios (OERs) listed reflect OERs expected to be effective on 3/1/17. Competitor OERs obtained from prospectuses and Strategic Insight Simfund, as reflected on 1/31/2017. Funds in the same Lipper category may track different indexes, have differences in holdings, and show different performance. Competitors may offer more than one market cap index mutual fund in a Lipper category, including funds that are not market cap index mutual funds. Expense ratios are subject to change. 6 An Institutional share class is expected to become available on 3/1/17, according to an initial prospectus filing on 12/23/16, and the operating expense ratio is unknown. Vanguard offers the Vanguard Institutional Index Fund – Institutional class at 0.04%, which is a separate fund from the Vanguard 500 Index Fund, but is designed to track the S&P 500 Index. 7 This fund will not be available for trading until February 23, 2017. 8 With the exception of Schwab Fundamental Emerging Markets Large Company Index Fund, all changes are pending shareholder approval of an Amended and Restated Investment Advisory and Administration Agreement. Investors should consider carefully information contained in the prospectus, including investment objectives, risks, charges, and expenses. You can view and download a prospectus by calling 877-824-5615. Please read the prospectus carefully before investing. Schwab ETFs are distributed by SEI Investments Distribution Co (SIDCO). SIDCO is not affiliated with Charles Schwab & Co., Inc.